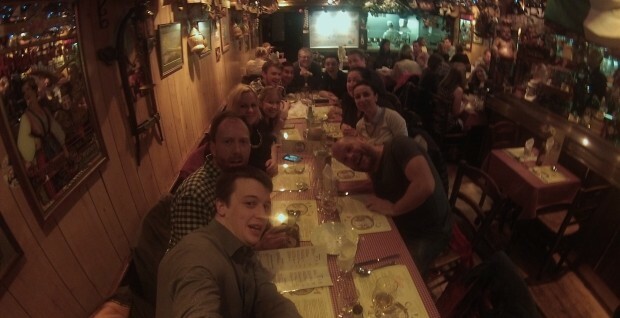 Last weekend the StockdaleMartin team went out for a works night out! We started off at Pasta Cibo, a small, family run Italian restaurant in Harpenden eating pizza and pasta whilst sipping on limoncello. The night got even better when we realised one of our former Designers was performing just around the corner with his band, SoulFish – a 10 piece soul band. We put our dancing shoes on and headed to the venue where we danced the night away. The music was great and their performance made everyone swing on soul and jazz beats. Here’s to the next works night out. Hope your weekend was as good as ours!